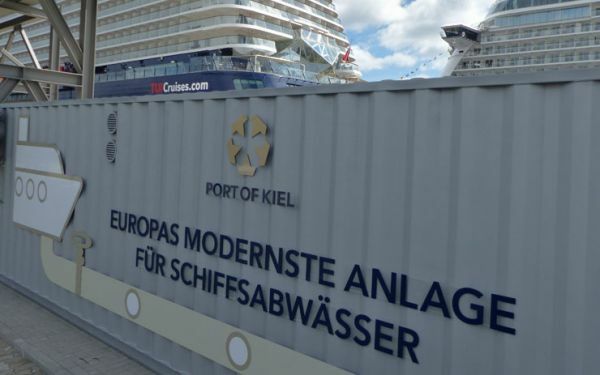 PORT OF KIEL invests at Ostseekai. 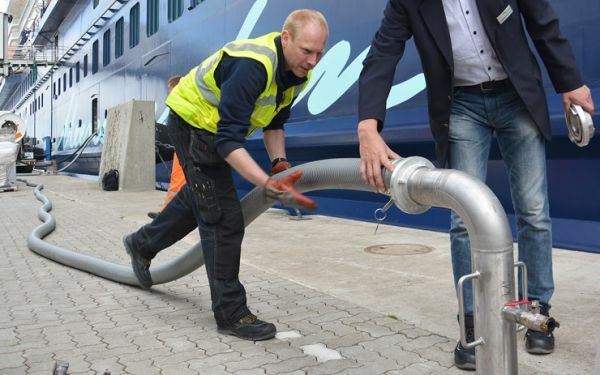 The countries on the Baltic Sea have decided that cruise ships have to be given the opportunity to completely dispose of their waste water in the ports. Following this requirement for the protection of the sea one of the most efficient and modern reception facilities for ship wastewater on the German Coast has been established at the Terminal Ostseekai. 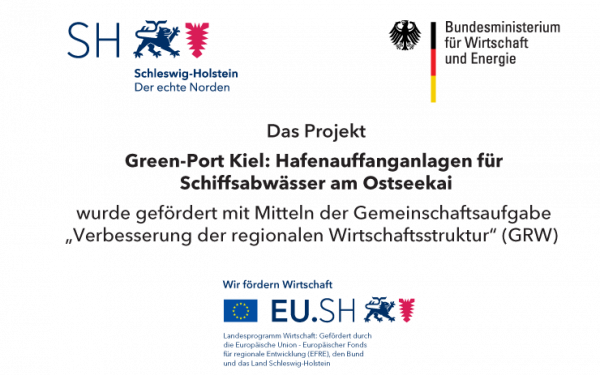 The facility of about 1.8 million Euro serves as an example and was subsidised by the State of Schleswig-Holstein. 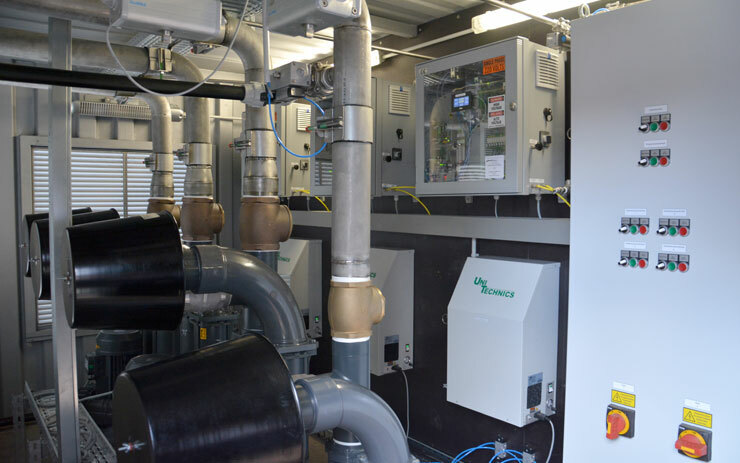 The investment comprises the construction of quay-side pressure pipes leading into storage tanks equipped with technology for analysis and treatment. The connection to the municipal wastewater system has been established using pump stations and further pressure pipes. 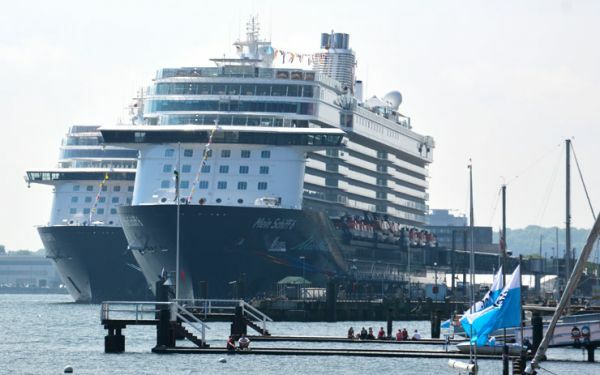 The facility was taken into operation in the cruise season 2017 and has a capacity of up to 300 m³ of wastewater per hour. 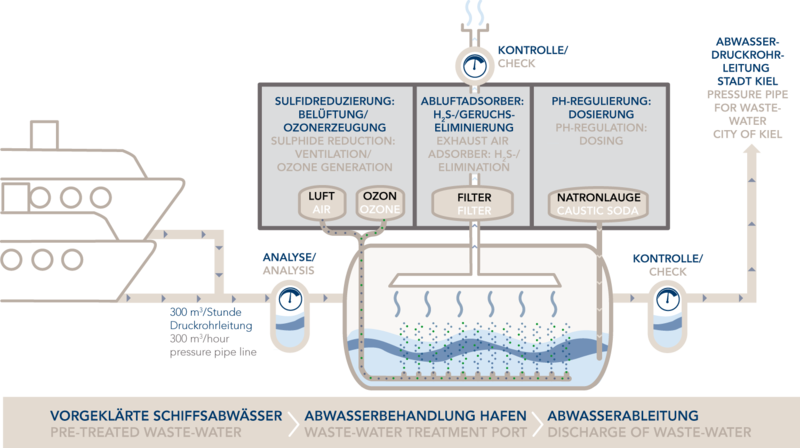 This means a tenfold increase for the wastewater reception capacity at Ostseekai. 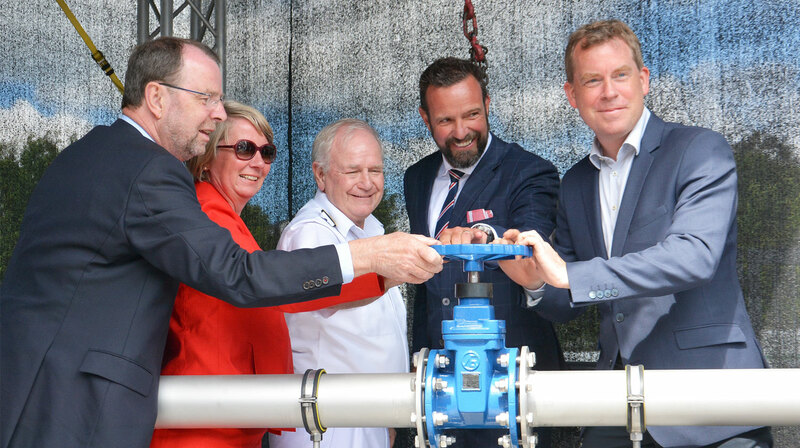 During an inauguration ceremony the new plant’s valves were symbolically opened by Kiel’s Lord Mayor Dr Ulf Kämpfer, Construction chief Doris Grondke, the head of the Water Management and Marine and Coastal Protection Department in the Schleswig-Holstein Environment Ministry Dietmar Wienholdt, Port chief Dr Dirk Claus and Captain Kjell Holm of TUI Cruises. 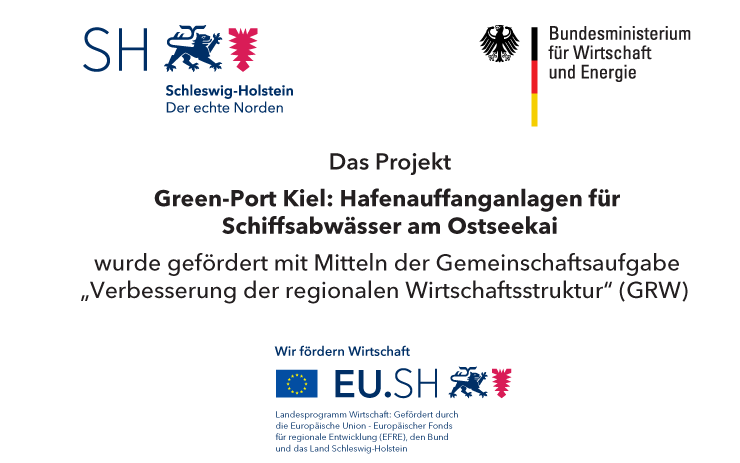 By the way: The water treatment facility at Kiel's Ostseekai was nominated by the Baltic Ports Organization (BPO) for the Baltic Sea Award 2018. TUI Cruises ships at Ostseekai. Europe's most modern facility for ship wastewater reception. Ship wastwater reception facility. View into technics container. 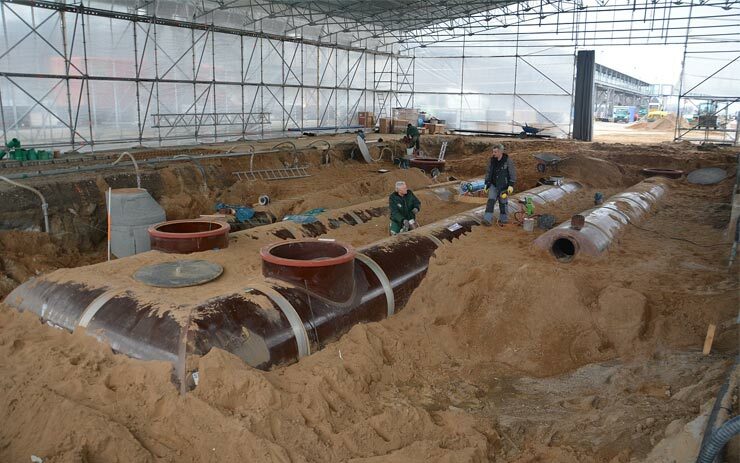 Pressure pipe at Ostseekai under construction.